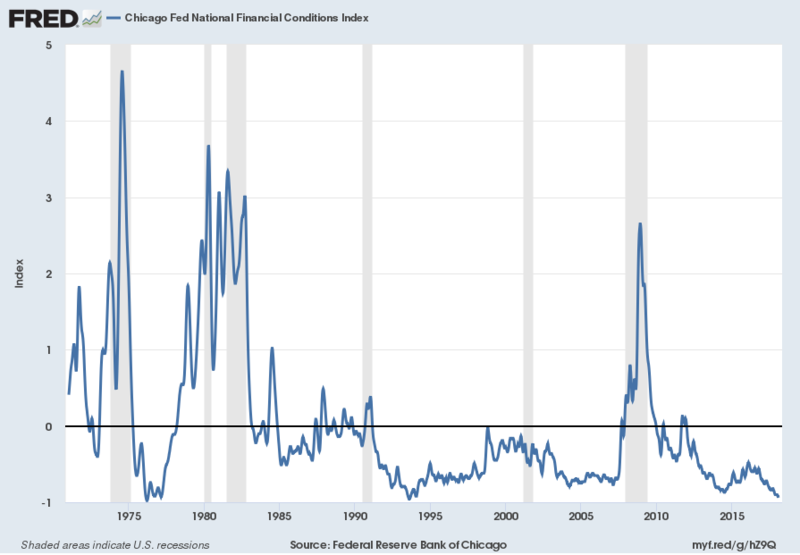 The St. Louis Fed’s Financial Stress Index (STLFSI) is one index that is supposed to measure stress in the financial system. Its reading as of the January 25, 2018 update (reflecting data through January 19, 2018) is -1.463. This entry was posted in Economic Forecasts and tagged ANFCI, economic indicators, NFCI on January 31, 2018 by Ted Kavadas. While the concept of Americans’ incomes can be defined in a number of ways, many prominent measures continue to show disconcerting trends. 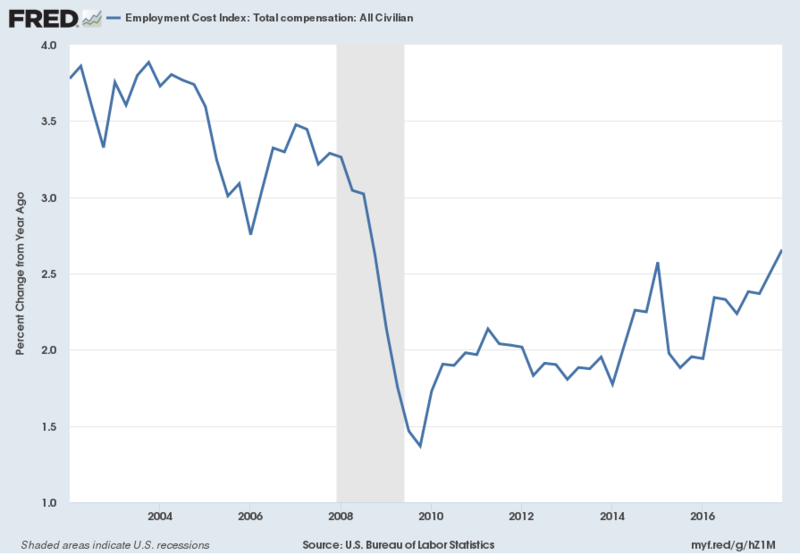 One prominent measure is the Employment Cost Index (ECI). 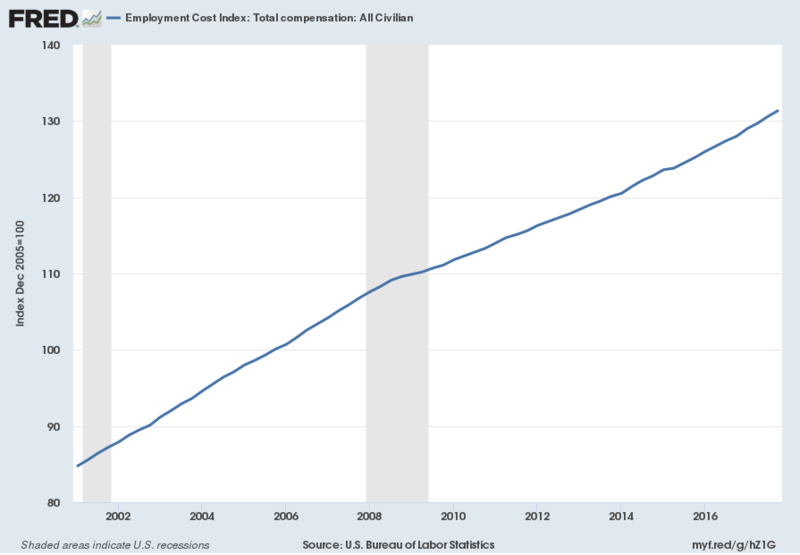 The Employment Cost Index (ECI) is a quarterly measure of the change in the price of labor, defined as compensation per employee hour worked. Closely watched by many economists, the ECI is an indicator of cost pressures within companies that could lead to price inflation for finished goods and services. 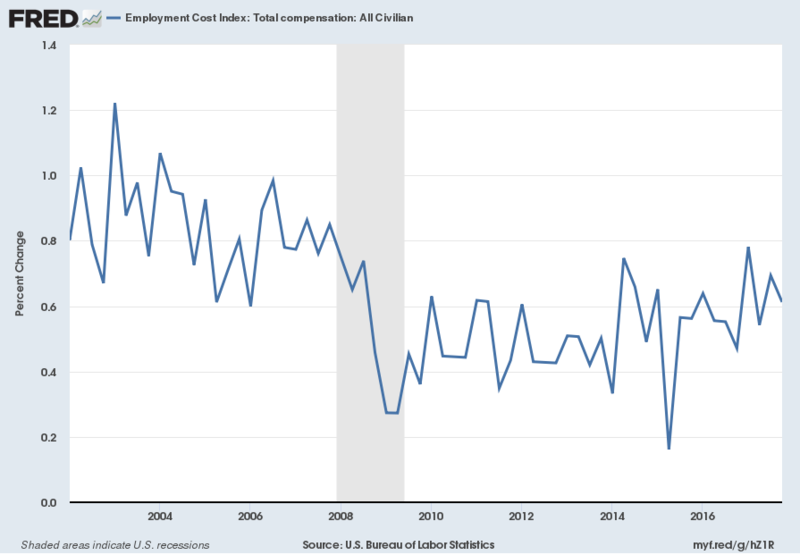 The index measures changes in the cost of compensation not only for wages and salaries, but also for an extensive list of benefits. As a fixed-weight, or Laspeyres, index, the ECI controls for changes occurring over time in the industrial-occupational composition of employment. This entry was posted in Uncategorized and tagged Household Income on January 31, 2018 by Ted Kavadas. I found President Trump’s State of the Union Address last night (January 30, 2018) to contain some noteworthy comments. While I could comment extensively on many parts of the speech, for now I will indicate excerpts that I found most relevant with regard to the economic situation, and may comment upon them at a future point. I am highlighting these excerpts for many reasons; it should be noted that I do not necessarily agree with any or all of them. This entry was posted in Uncategorized and tagged President Trump on January 31, 2018 by Ted Kavadas. 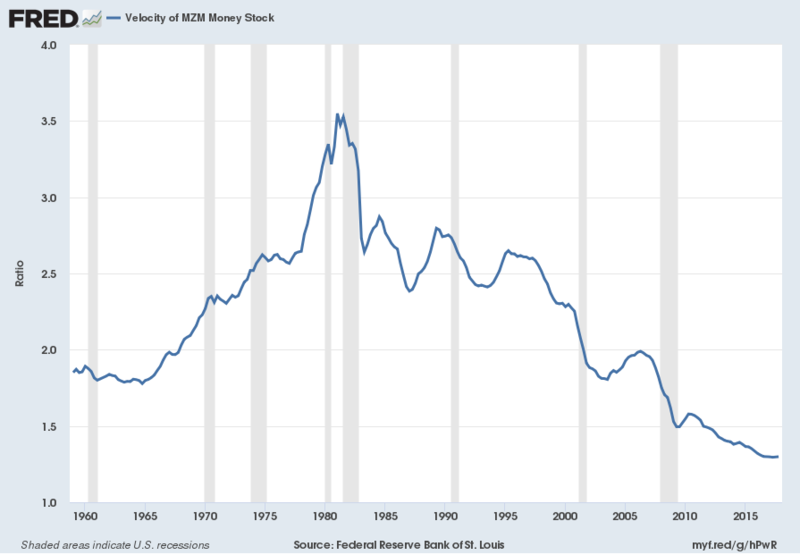 While I don’t agree with the methodologies employed or the probabilities of impending economic weakness as depicted by these and other estimates, I do believe that the results of these models and estimates should be monitored. This index measures the probability that the U.S. economy was in a recession during the indicated quarter. 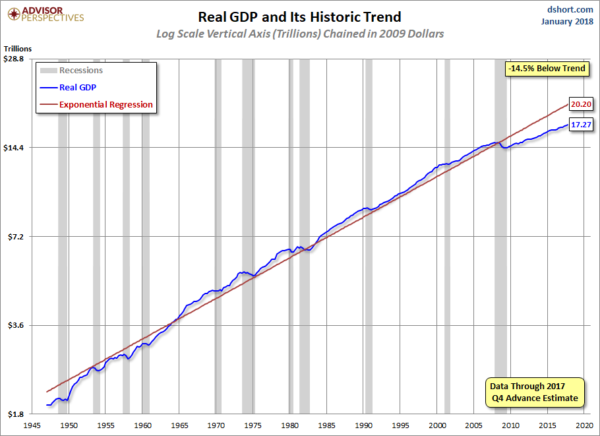 It is based on a mathematical description of the way that recessions differ from expansions. 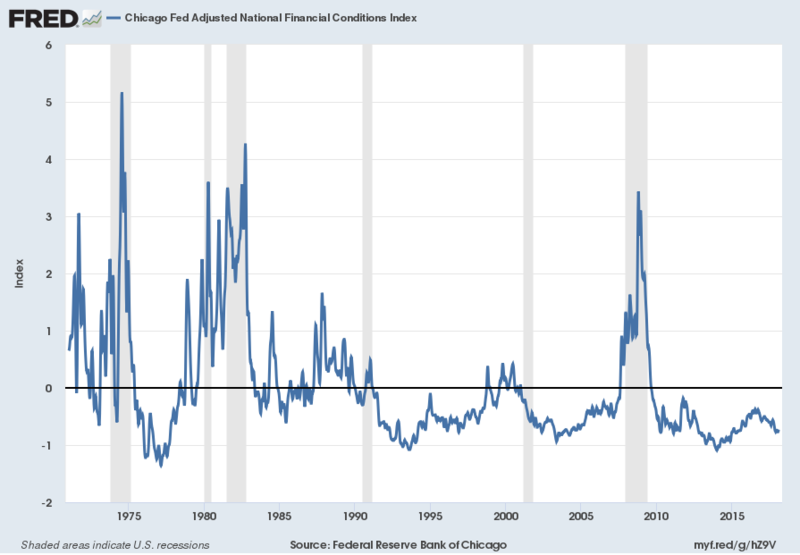 The index corresponds to the probability (measured in percent) that the underlying true economic regime is one of recession based on the available data. 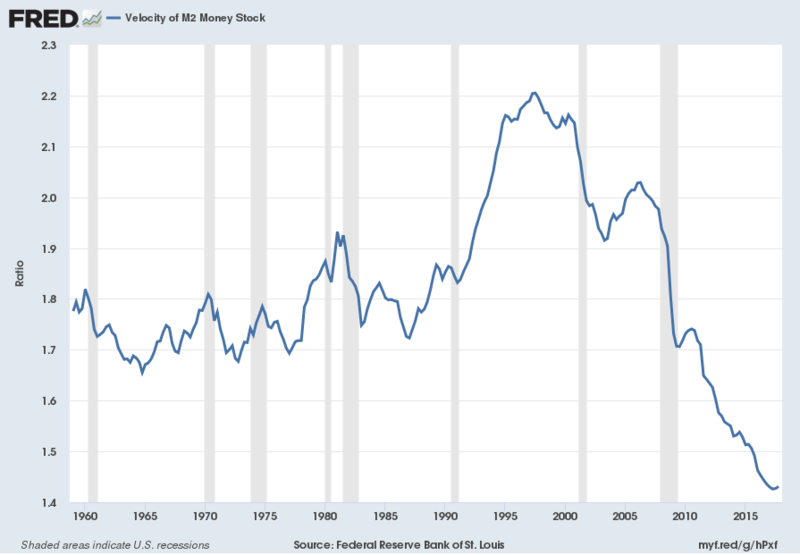 Whereas the NBER business cycle dates are based on a subjective assessment of a variety of indicators that may not be released until several years after the event , this index is entirely mechanical, is based solely on currently available GDP data and is reported every quarter. 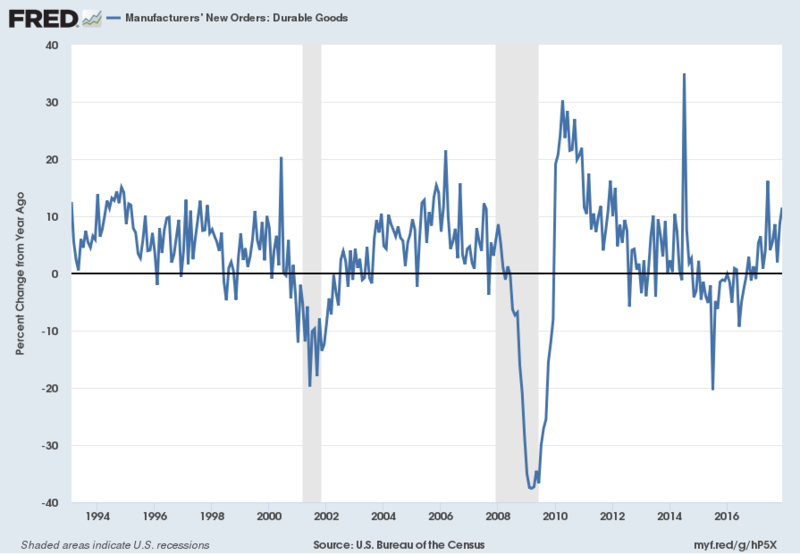 Due to the possibility of data revisions and the challenges in accurately identifying the business cycle phase, the index is calculated for the quarter just preceding the most recently available GDP numbers. Once the index is calculated for that quarter, it is never subsequently revised. The value at every date was inferred using only data that were available one quarter after that date and as those data were reported at the time. 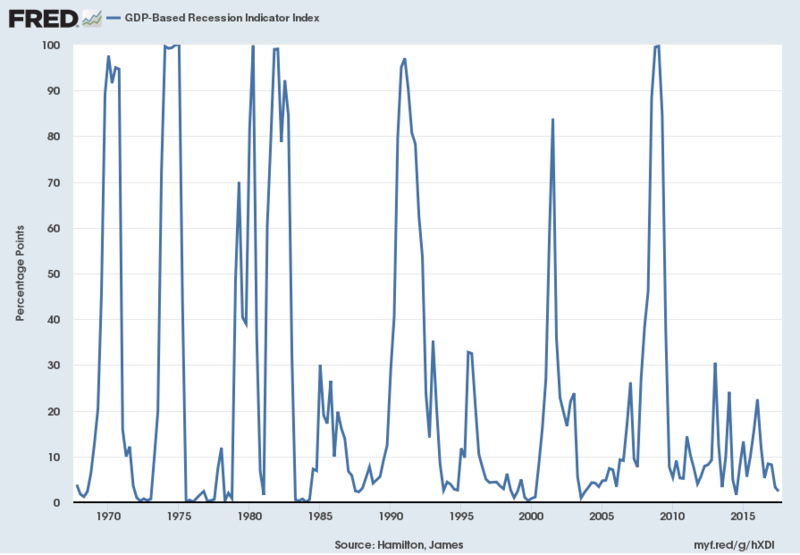 Additional reference sources for this index and its construction can be seen in the Econbrowser post of February 14, 2016 titled “Recession probabilities” as well as on the “The Econbrowser Recession Indicator Index” page. 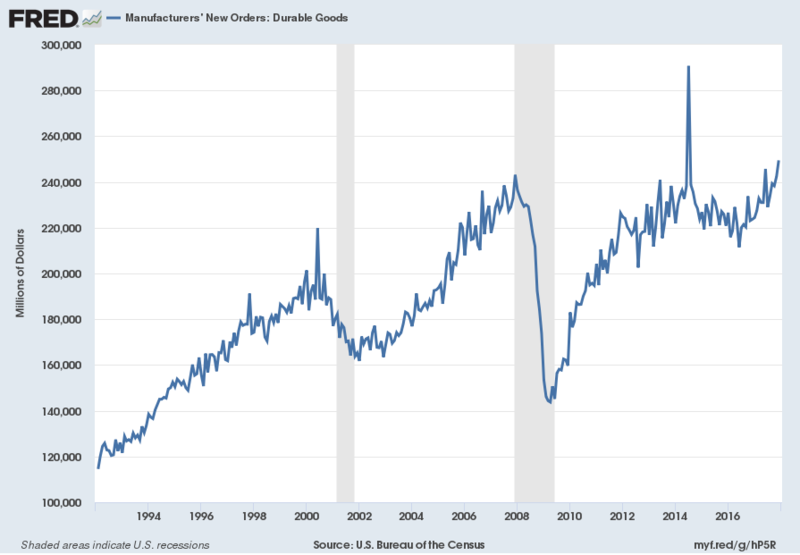 This entry was posted in Economic Forecasts and tagged economic indicators on January 30, 2018 by Ted Kavadas. 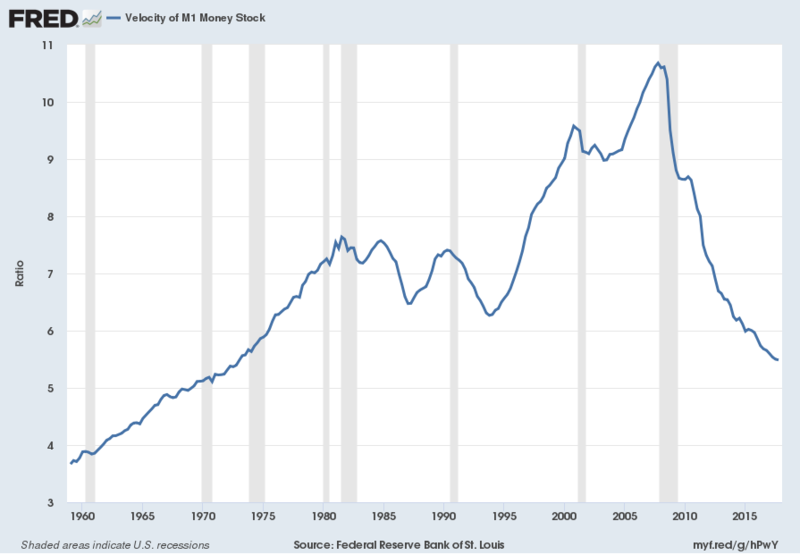 This entry was posted in Uncategorized and tagged economic indicators on January 26, 2018 by Ted Kavadas. I have written extensively about U.S. interest rates and their importance. Rising interest rates have substantial ramifications for many aspects of the current-day economy. My commentaries with regard to interest rates and the bond bubble are largely found under the “bond bubble” tag. From an intervention perspective commentary is found under the “Intervention” category. This entry was posted in Uncategorized and tagged 10-year Treasury yields on January 26, 2018 by Ted Kavadas. 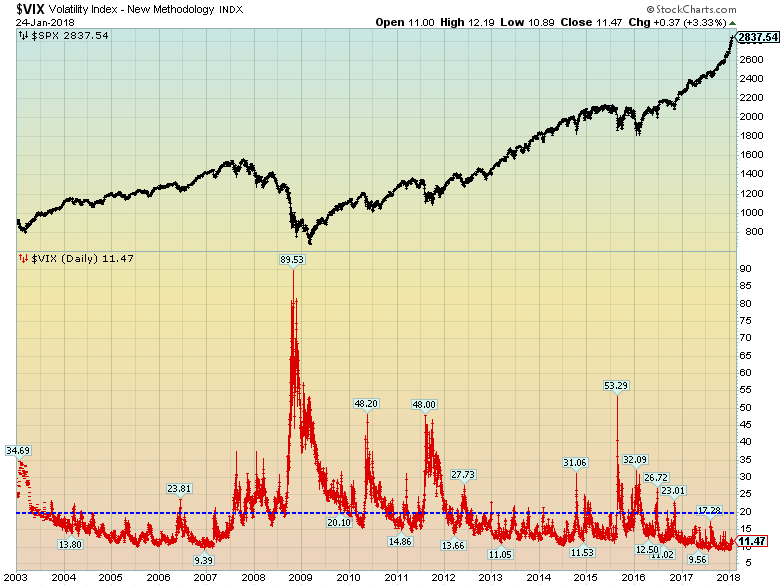 This entry was posted in Stock Market and tagged VIX on January 25, 2018 by Ted Kavadas. On this site numerous highly problematical issues concerning the U.S. economy and financial system have been discussed. Of key importance is the resulting level of risk and future implications. As discussed in the September 29, 2017 post (“Problematical Aspects Of Today’s Financial System“) the almost universal opinion is that the financial system is strong, in (large) part due to various reforms enacted since the Financial Crisis. However, there are many reasons to believe that this widely-held assessment is incorrect. At this time, due to many problematical areas, from an “all things considered” basis I would assess the overall level of embedded peril to far exceed that previously experienced in the United States, including the level in existence prior to and during the Great Depression. While no one likes to contemplate a future rife with economic adversity, the resolution of the problematical issues in the economy and financial system will lead to what I have previously referred to as a “Super Depression,” i.e. a severe economic depression characterized by difficult-to-solve problems. This entry was posted in Depression on January 25, 2018 by Ted Kavadas.